To see the latest balls from Nike, please visit our Nike golf balls page. When Nike Golf first introduced its original 20XI golf ball, it was the first golf ball in 10 years that had been made from something other than solid rubber. The 20XI's core was made with RZN, a high-performance proprietary resin that produces a lighter core and subsequently moves weight to the perimeter. Like perimeter weighting in a golf club, this new weighting system results in more forgiveness and faster ball speeds. The new 20XI ball is made with a urethane cover and twice as much RZN material in the core and mantle as the previous version. The core is larger and softer to improve feel, while the enhanced mantle promotes longer shots off the tee. The 20XI also has the highest Moment of Inertia (MOI) in a golf ball to date, giving you more consistent spin for maximum carry and control. 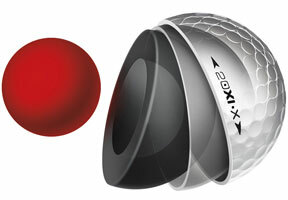 The Nike 20XI golf ball comes in two versions: the standard 20XI and the 20XI X. The 20XI ball is designed to create more short game control and to maximize distance for players who tend to have lower spin. The 20XI X is geared toward players who tend to have higher spin. Therefore, it is designed to reduce spin for optimal accuracy as well as delivering maximum distance. The 20XI X is the longest tour model ball Nike's produced to date. 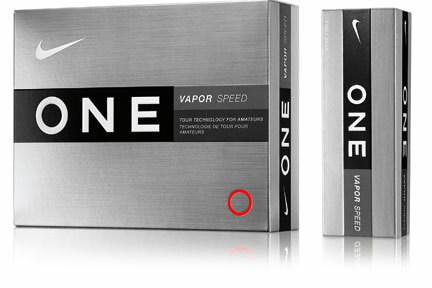 In addition to the new 20XI ball, Nike has introduced the ONE RZN golf ball for 2013. This is a softer, more playable ball made especially for amateur golfers, as the 20XI is Nike's tour ball. The ONE has an ionomer cover instead of a urethane cover, and though it has an RZN core like 20XI, three pieces comprise its construction while the 20XI has four pieces. The core in the RZN ONE is more lightweight as well to create the more powerful distance and control sought by amateur players. It comes in both ONE RZN and ONE RZN X models. The standard version is designed to deliver longer and straighter shots with a softer feel. The ONE RZN X doesn't have the same softness, but it is designed instead to deliver more explosive and penetrating shots. Overall, the Nike 20XI and Nike ONE RZN golf balls take the innovation of the original 20XI to the next level with a more advanced RZN formulation and more specialized engineering. This potent combination helps golfers of all levels achieve longer and more controlled shots than ever before.